These Tunisian women were ubiquitous at the form. 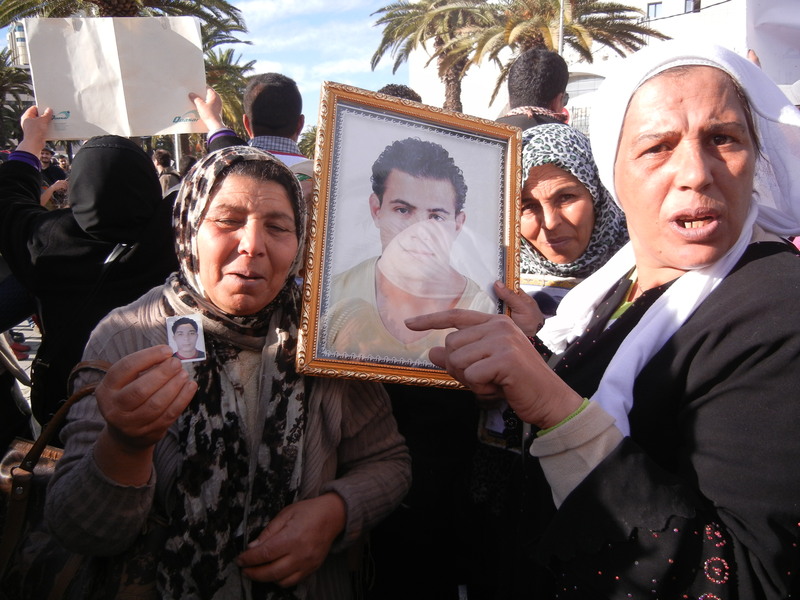 They are devastated by disappearance of their sons in holding camps in Italy; they do not know exactly where they are and view Tunisian government as complicit, unaccountable, and non-responsive to them; one woman told me she saw her son on a satellite program but didn’t know where he was. Frances S. Hasso is Associate Professor in Gender, Sexuality and Feminist Studies at Duke University. She holds secondary appointments in the Department of Sociology and the Department of History. She is a 2018-2019 Fellow at the National Humanities Center. She is an Editor Emerita of the Journal of Middle East Women’s Studies (2015-2018). She joined the Duke faculty in 2010 after 10 years at Oberlin College. Her scholarship focuses on gender and sexuality in the Arab world. Read about her publications here. Click to see Curriculum Vitae.